WEST UNION W.Va.–The Oak Glen boys track team won its first ever title at the Ritchie County Pizza House Invitational on Friday. The Golden Bears finished with a total of 126 points, 15 points better than runner-up Ritchie County. Also for the Golden Bears, the 400 relay team (Lawson, Brayden Mineard, Patterson and Seth Mozingo) captured first place along with the 1600 relay team (Patterson, Matthew Wright, Nathan Atkinson and Mozingo) and the 3200 relay team (Wright, Mason Konchar, Konnor Allison and Atkinson). The Oak Glen girls captured second with a total of 85 points. Williamstown won the girls title with 174 1/2 points. Winning titles for the Golden Bears were the 1600 relay team (Chloe Molish, Gracie Wright, Maggie Kovalcik and Abigail Myers) as well as Maggie Kovalcik (long jump). BOYS TEAM STANDINGS: 1. Oak Glen 126; 2. Ritchie County 111; 3. Doddridge County 105; 4. Williamstown 79; 5. Tyler Consolidated 64; 6. Gilmer County 24; 7. Robert C. Byrd 18; 8. Wirt County 16; 9. St. Marys High School 7; 10. 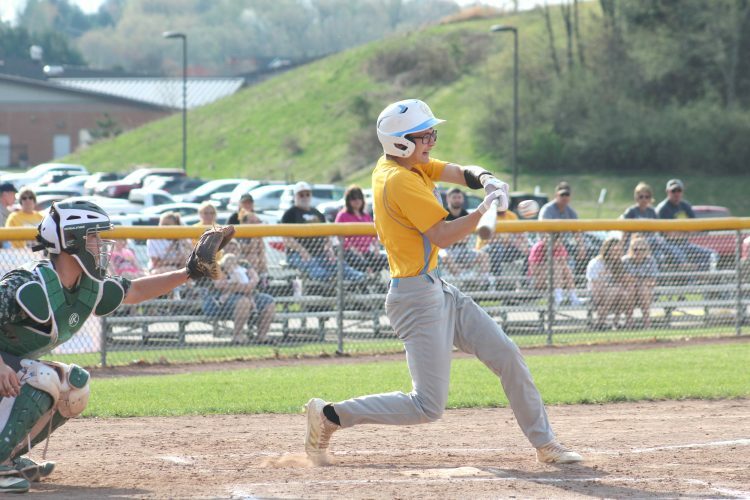 Parkersburg Catholic 6; 11. Frontier 1. GIRLS TEAM STANDINGS: 1. Williamstown 174 1/2; 2. Oak Glen 85; 3. Ritchie County 81 1/2; 4. Doddridge County 74; 5. St. Marys 40; 6. Parkersburg Catholic 29; 7. Gilmer County 22; 8. Tyler Consolidated 20; 9. Wirt County 16; 10. Robert C. Byrd 15; 11. Ravenswood 1.